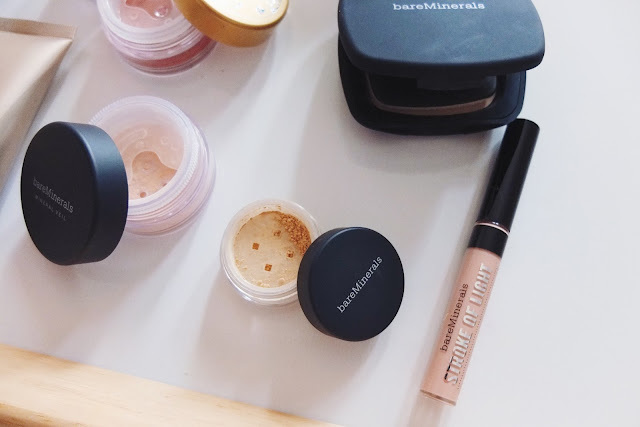 Today I wanted to share with you some new makeup products that I've been using for the past week or so. A girlfriend of mine (Thanks Natasha!!) sent me the cutest care package from Bare Minerals and I have to say I'm really happy with what she sent. 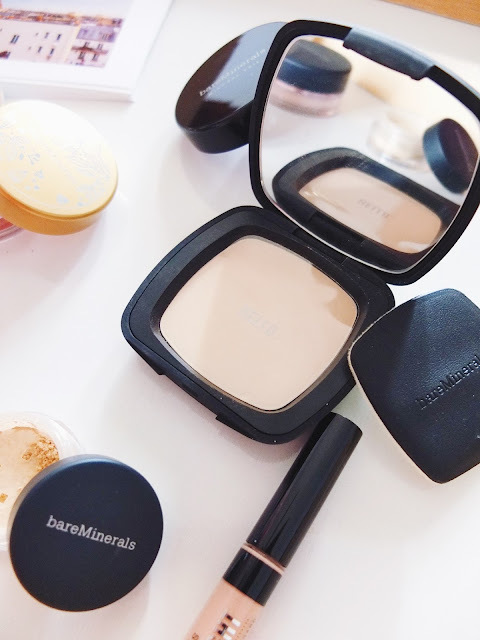 When I was younger and first started wearing makeup, I used Bare Minerals. I stopped using their products because I realized I liked spending my paycheck (lets be honest, I worked part time about 3 days week. lol) on clothes instead of makeup and I discovered my favorite drugstore foundation. (Revlon's PhotoReady foundation.) Eight years later, I'm kinda in love with their products again. 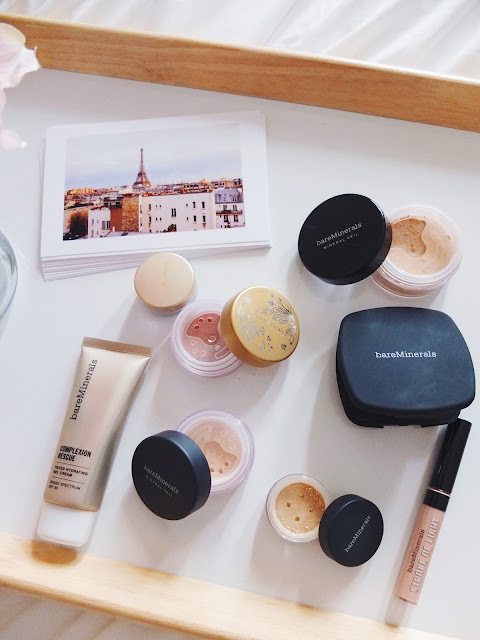 -Eye Shadow in "Dusk Gray"
-Stroke of Light Eye Brightener/Illuminateur Regard in "Luminous 1"
-Illuminating Touch Up Veil in "Translucent"
Out of these 7 products I am super excited about 4. They are sooooo good! 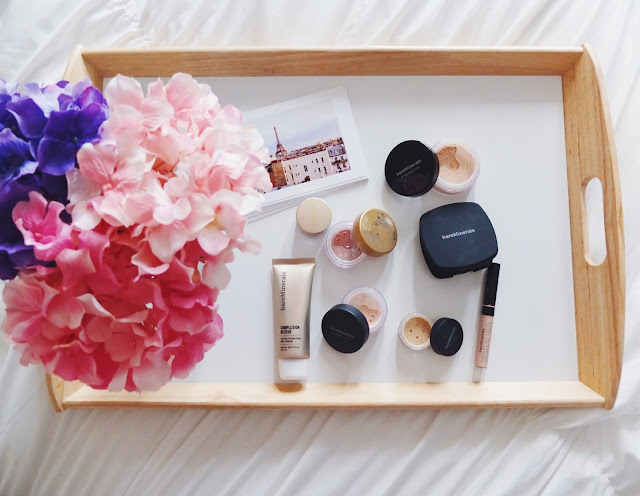 My favorites are the Complexion Rescue, the Eye Brightener, the Stroke of Light, and the Illuminating Touch Up Veil. 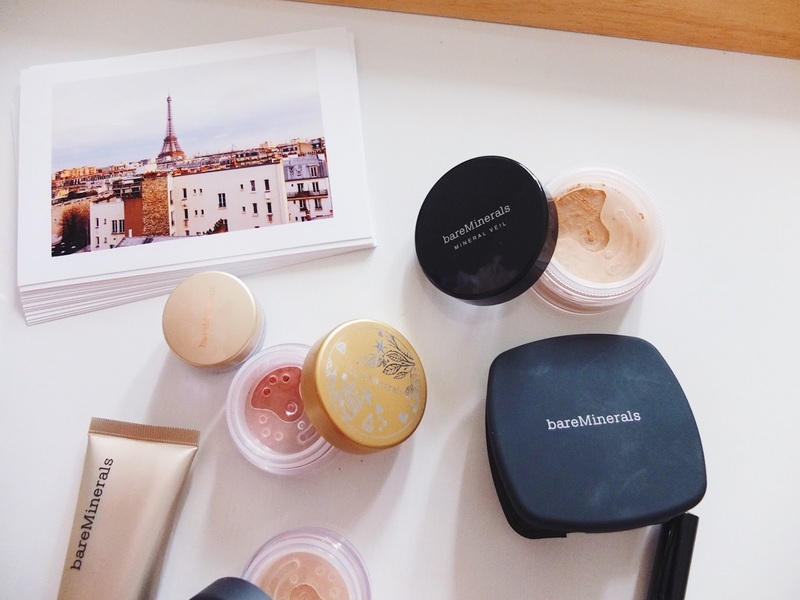 I also really love the blush. 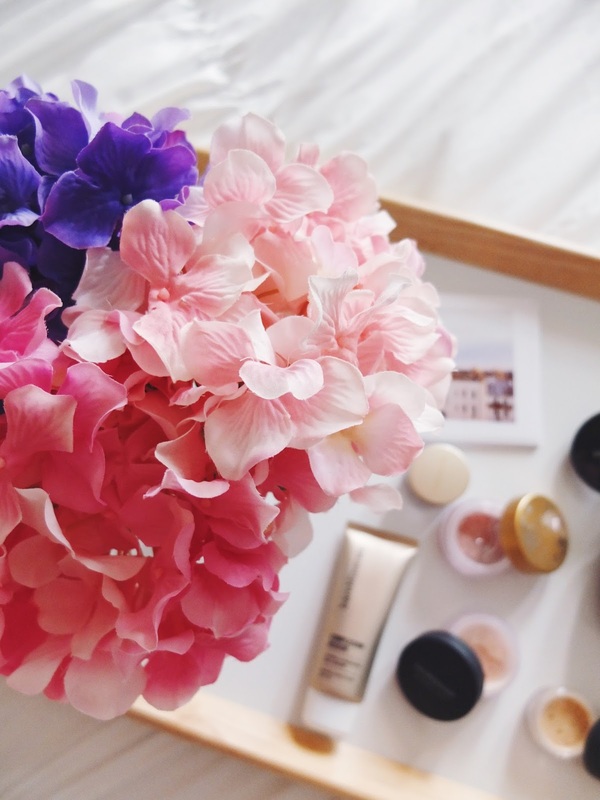 -The Complexion Rescue gel cream is sooo glowy and super hydrating. I use it as a base/primer before my foundation. It's tinted and has SPF 30 so it's perfect for those days you don't want to wear any makeup. 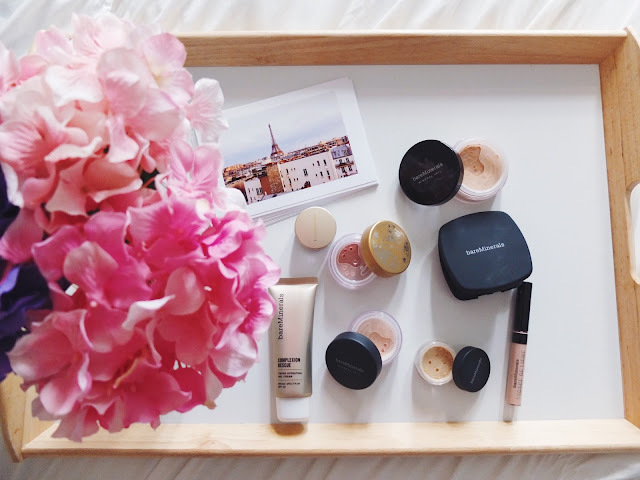 -The well-rested Eye Brightener is an awesome concealer. It works great at covering my under-eye circles and blemish spots. It also works great as an eyeshadow primer. -Lastly, the Stroke of Light eye brightener. This stuff is so yum! I use it as a highlight and apply it with my Beauty Blender or finger. I make small strokes in the shape of a "C" from my temple to my cheekbone and the bridge of my nose.It's very creamy and blends easily. Now, those are my top 4. Like I said before, I also love the blush. It's a beautiful color and blends really well. I haven't tried the eyeshadow yet, but when I do, I'll let you know how I like it. Their Mineral Veils are all highly recommended and have great reviews. I haven't really tried them because I've been using the Illuminating Touch Up Veil instead. 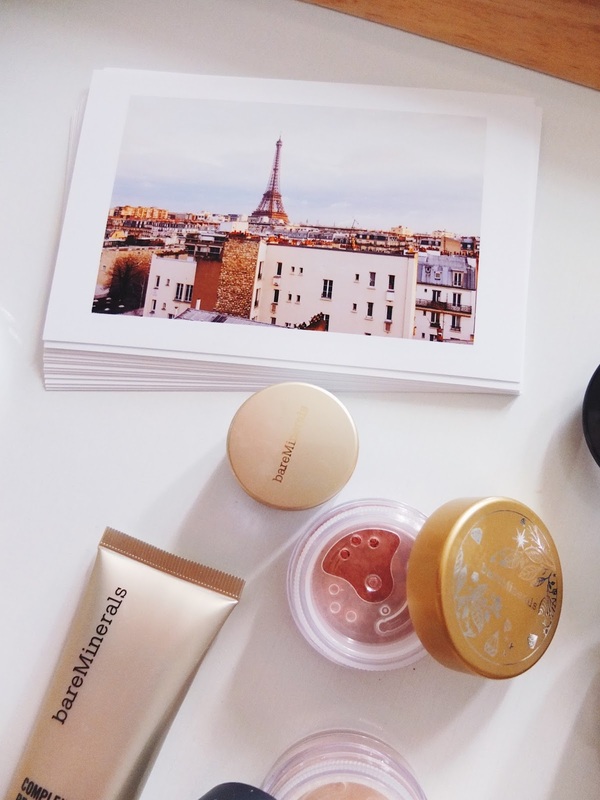 I normally go for a dewy complexion so I stay away from powders. But, I think if there are any powers that would change my mind, it would be these. Let's see. 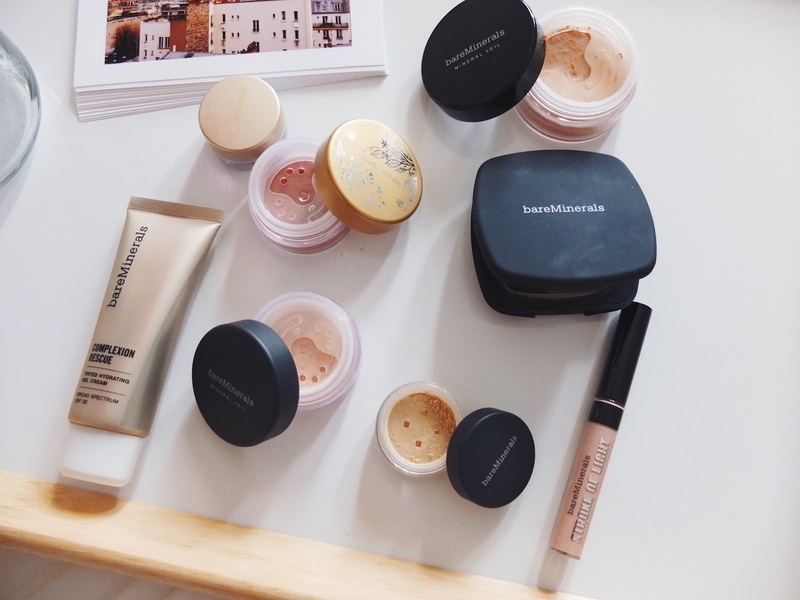 You can shop these products below or in store at Nordstrom, Sephora, and Ulta. Hope you all enjoyed this post! 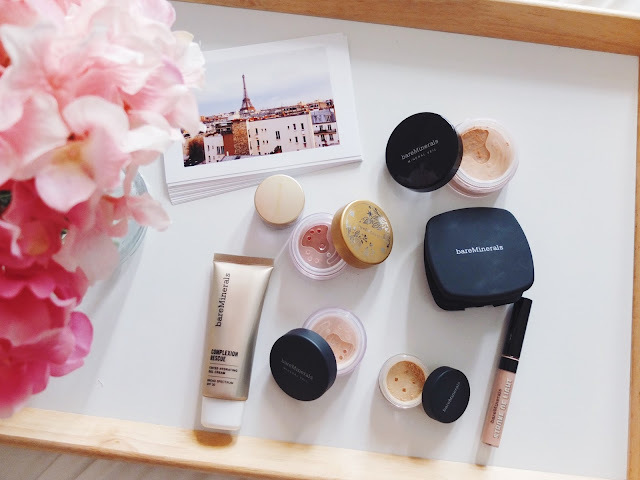 What do you think about Bare Minerals? Any other products you would recommend? Let me know. Talk soon!